In the UK Osteopaths typically work in private practice although some are attached to medical centres. This means the majority of osteopaths work individually although there are some larger specialist centres. The likelihood is that you have full control of your choice of workwear. Whether you prefer to be casually dressed or prefer your osteopath’s uniform to be a tunic and trousers, Alsicare has suitable osteopaths’ workwear. 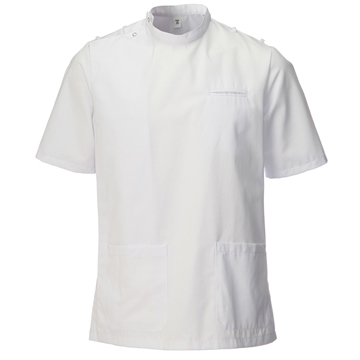 Medical Scrubs make a professional and lightweight osteopath’s uniform. 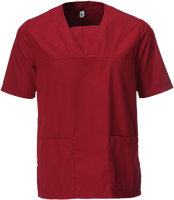 Modern scrubs are produced in a wide range of colours. Our Scrub Suits are no different.Unisex Scrub Tops and matching Unisex Scrub Trousers are available in a wide range of colours including Jade, Burgundy and Navy, Royal or Light Blue. Each can be bought separately and Saver deals are available on a Pack Of 12 Unisex Scrub Tops - Medical Scrubs. We’ve paid particular attention to the design details and getting the fabric just right. Each scrub top has a finished length of 77cm and is available in sizes XSmall through to XXLarge. They have 3 pockets and vents to the side. Our Scrub Trousers are available in Regular and Tall lengths and in the same range of sizes. They have 4 pockets and a waistband with draw cord bonidex elastication. Alternative osteopath uniforms include our Tunics and Trousers. For women we have a very wide range of plain tunics with contrast piping including Female Tunic – Mint, Female Tunic – Sailor Navy andFemale Tunic – White. Each has front zip-fastening and back vents with action pleats. There are 4 pockets and all are available in sizes 8 to 28. For men, we offer a standard white male tunic. But for those who are looking for an alternative to our Male Tunic – White, we make a Male Tunic with Mandarin Collar & Epaulette Loops and a Male Tunic with Epaulette Loops. The mandarin collar tunic has a stand collar and a concealed asymmetrical front fastening and 4 pockets including a polyurethane pen pocket. It has 2 self- fabric epaulette loops to each shoulder and epaulettes are available to purchase separately. It’s available in sizes 36 to 54 and has an 80cm finished length. The male tunic with epaulettes has a button-up collar and straight concealed zip front fastening and 4 pockets and is also available in sizes 36 to 54. Saver Packs of 10 Female or Male White Tunics are available and your choice of name or logo can be added to any tunic. There is also no minimum order. We have a range of trousers to team with our tunics. Women can choose from our Female Elasticated Trouser - Navy or Bootleg or Straight Leg Styles. All are available in 2 leg lengths and wide range of sizes. Men have a choice of three styles including Men’s Trouser One – Black. All are available in sizes 30-42 and in Regular and Tall lengths.